Happy With Your Kelowna Dentist? Do you have a dentist? If you are in need of a dentist or are not happy with your current one, we invite you to visit Choose Your Smile to meet with us and discuss your dental needs. You don’t have to choose us, but we encourage you to find a dentist you like! Our approach to dentistry emphasizes you, the patient. Our first priority is exceeding expectations. It’s essential that we t become familiar with each patient, which is why your first consultation may take some time. We can’t get to know each other in five minutes. We want to know how are you doing. We’ll ask bout the current condition of your teeth and gums, what your fears and expectations are, and whether you have financial concerns about your visit. We understand that each patient has a unique set of circumstances. 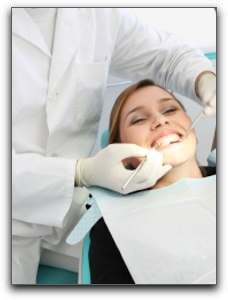 At Choose Your Smile, we emphasize preventative dental care. When restorative dentistry is necessary, we always recommend the most conservative procedures. We discuss your options and consider the long term consequences of each treatment. If you are interested in cosmetic dentistry, we can help. This is an umbrella term that includes dental implants, crowns, and teeth whitening, among other procedures. Miracles are possible with cosmetic dentistry. Choose Your Smile is a no-pressure practice, and we encourage all our patients to get a second opinion about whatever we may discuss during your visit. Please call us to book a consultation. We’re confident you will feel good about choosing Choose Your Smile for your dental care.